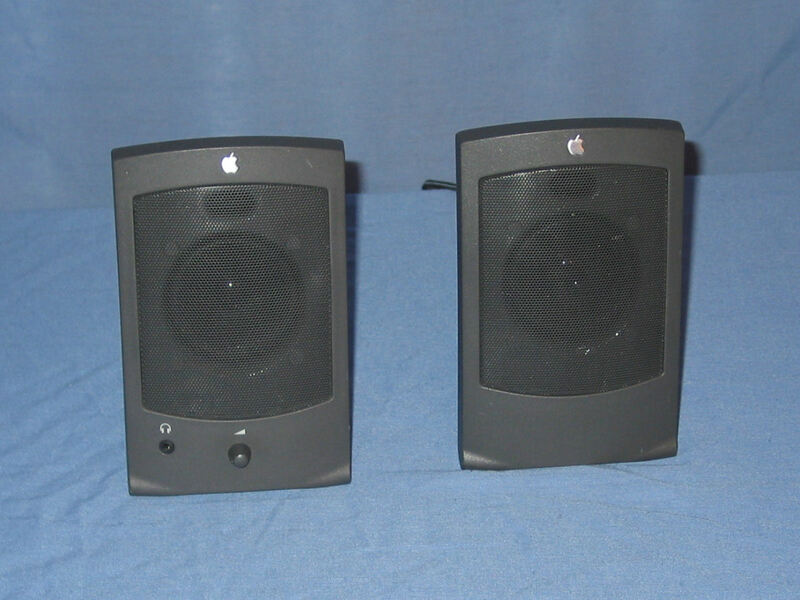 The black speakers. 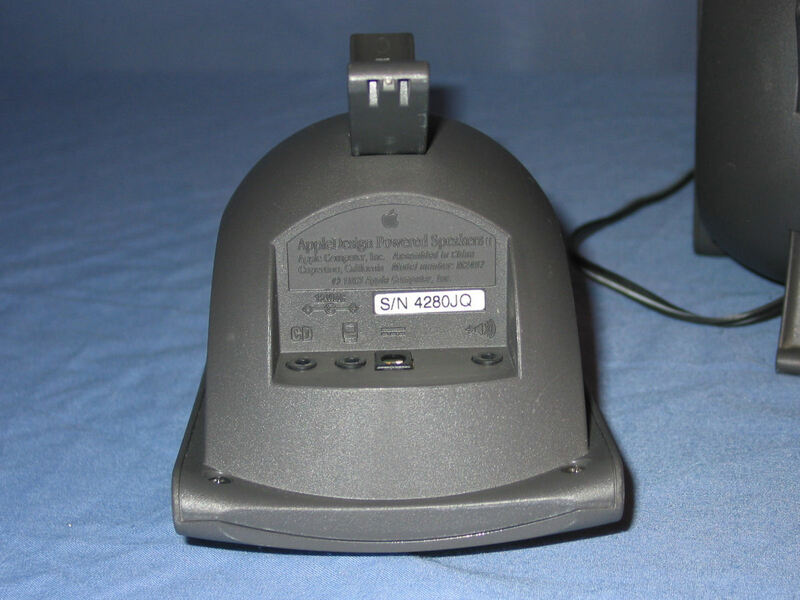 On the left is the main speaker that features a headphone socket and volume control on the front. 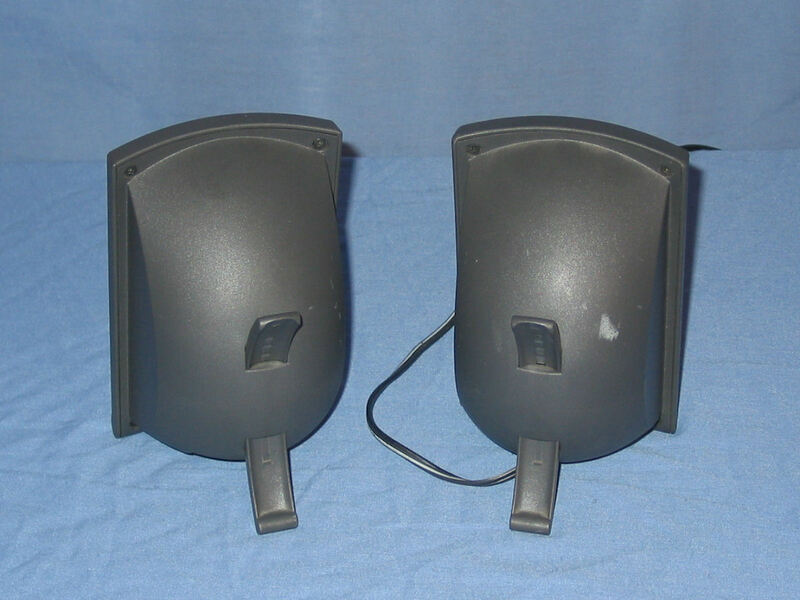 The rear of the black speakers showing the tilt adjustment. 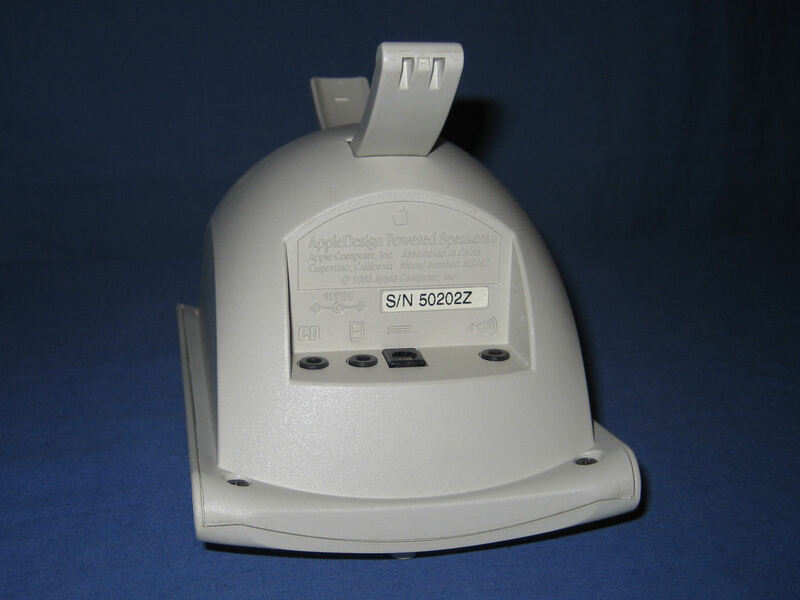 The bottom of the main speaker features two inputs (CD and computer), power input and the connection to the other speaker. The 'II' in the name is hard to see and appears to be an afterthought. 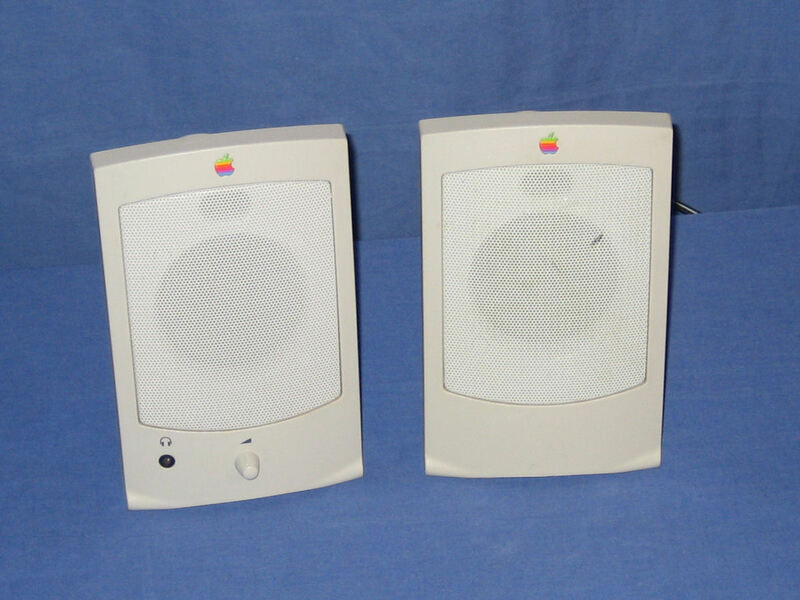 The beige set of speakers are identical to the black set except for the colour of the casing and featuring the multicoloured apple logo. 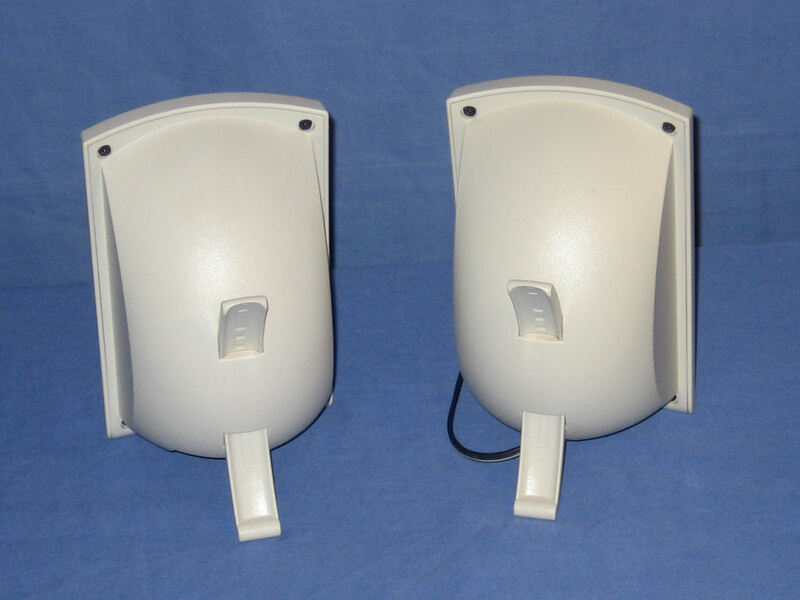 The rear of the beige speakers. On the bottom of the white speaker it is evident that the same mould was used as for the black speakers due to the nature of the 'II' in the name.